This is one of those great, budget-friendly recipes that’s easy to throw together from cheap ingredients that I often have in the fridge/pantry. You could also try throwing in extra herbs or veggies you have on-hand to mix things up a little – peas, corn, grated zucchini, a finely diced onion. Whatever you have on hand, the most basic version of this recipe is guaranteed to satisfy. These patties go great with homemade roasted tomato sauce, sweet chilli or even a garlicky cucumber-yoghurt sauce. I usually serve them with a side salad or a side of steamed or roasted veggies. These are pretty much pretty impossible to stuff up. Microwave the sweet potato, mash, add tuna, eggs and seasoning. 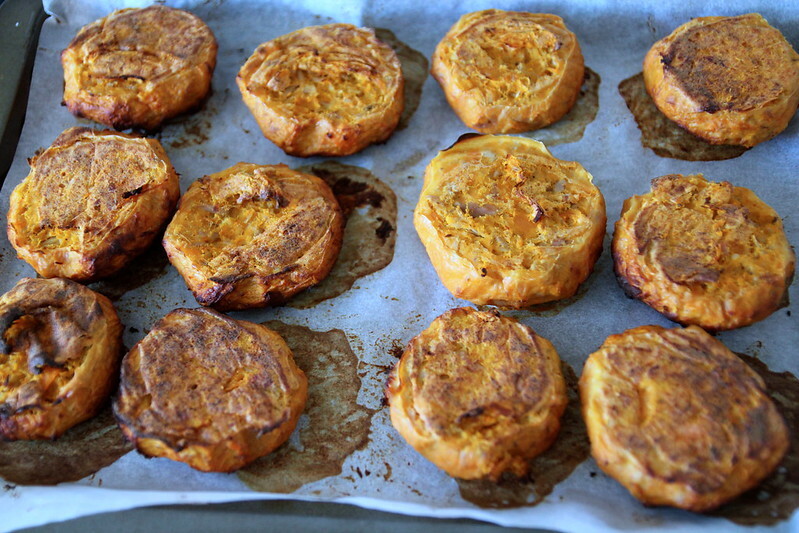 Shape into patties and bake until set and you’re all done! 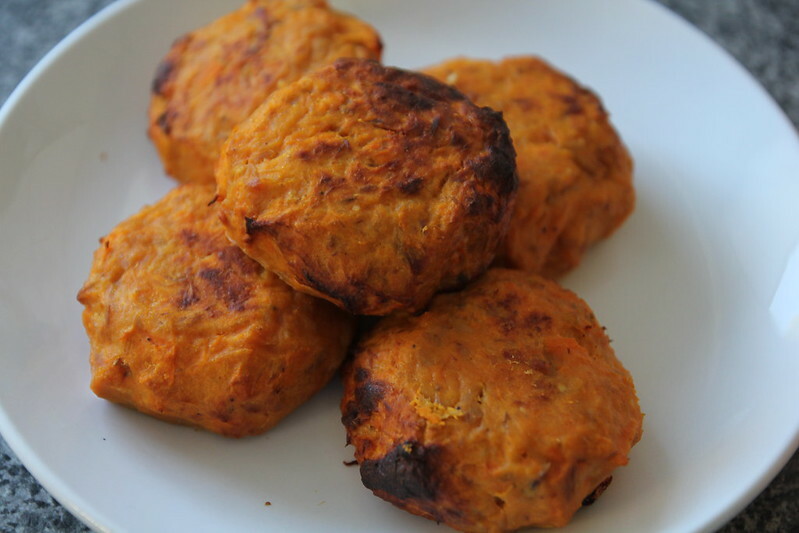 Only three main ingredients – sweet potato, tuna and eggs. Microwave until fork tender, drain and set aside to cool. 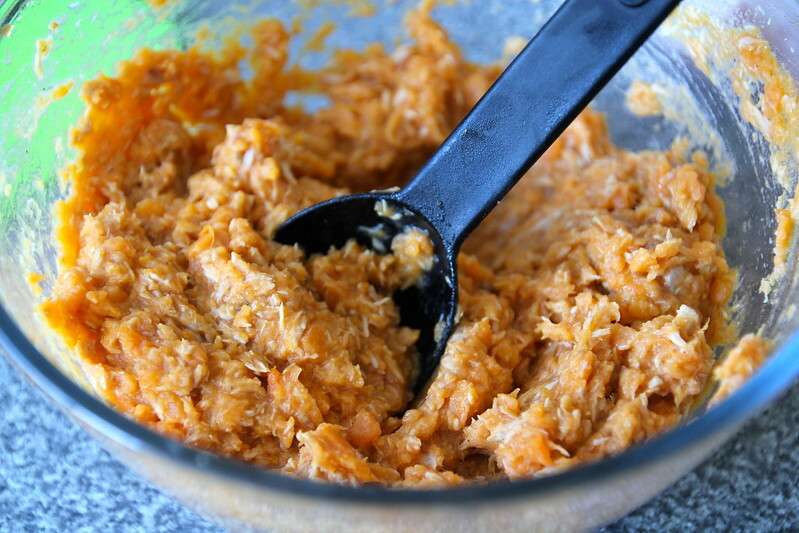 Mash sweet potato, add tuna. Beat eggs and add 1/4 teaspoon salt. Shape into patties and bake. Preheat oven to 170 degrees C and line a baking tray with baking paper. 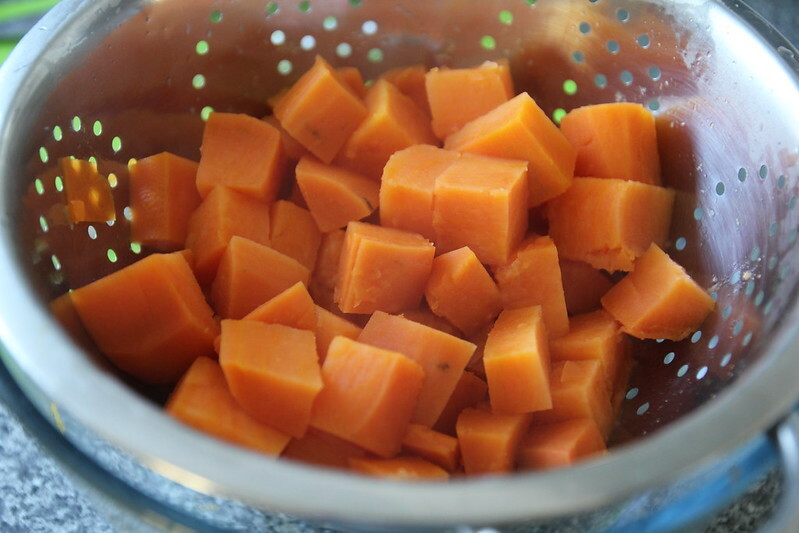 Place the cubed sweet potato in a large mixing bowl and cover with boiling (or hot from the tap) water. Microwave for 10-15 minutes on high, or until fork tender enough to mash. Remove from the microwave, drain and allow to cool. Mash with a potato masher/fork and add tuna. Mix well. Crack three eggs into a jug and season with the salt and pepper. 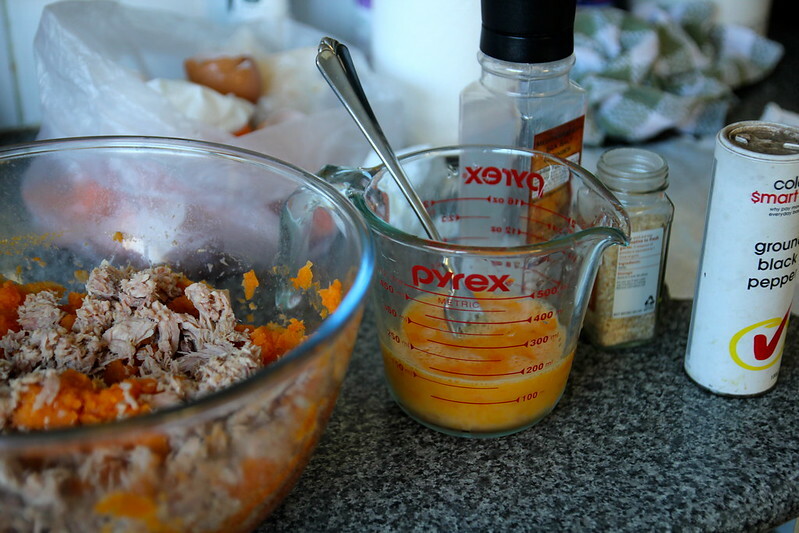 Pour egg mixture into sweet potato and tuna mixture and stir well with a wooden spoon until thoroughly mixed. 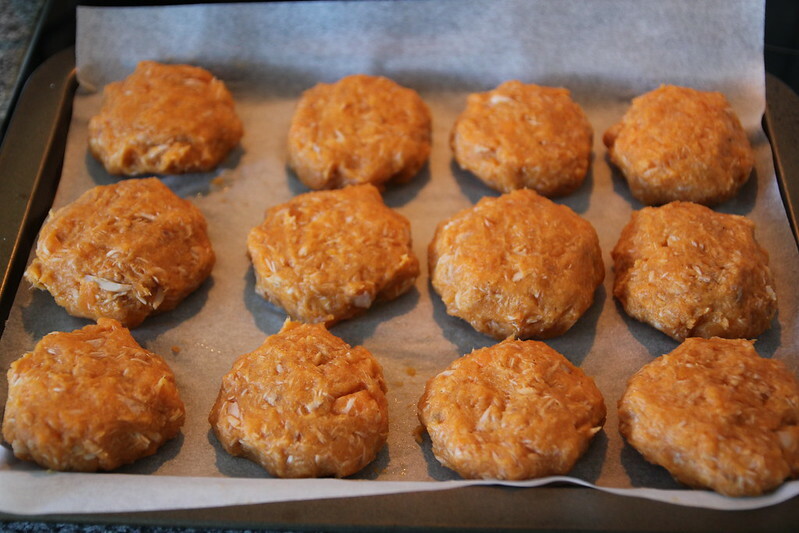 Bake patties in the oven for about 20-25 minutes or until well browned and completely cooked through. I hope you recover from your cold soon – it sounds like you’re too busy to be sick! This recipe looks great. I think even my fussy small people will like it. I’ll be trying it soon. Thanks for sharing! Oh so easyyyy! I definitely need to try these out for lunch. Awesome recipe Christine! Keep them coming! I’m sorry to hear you’ve had such a hectic (and stressful) time of late. 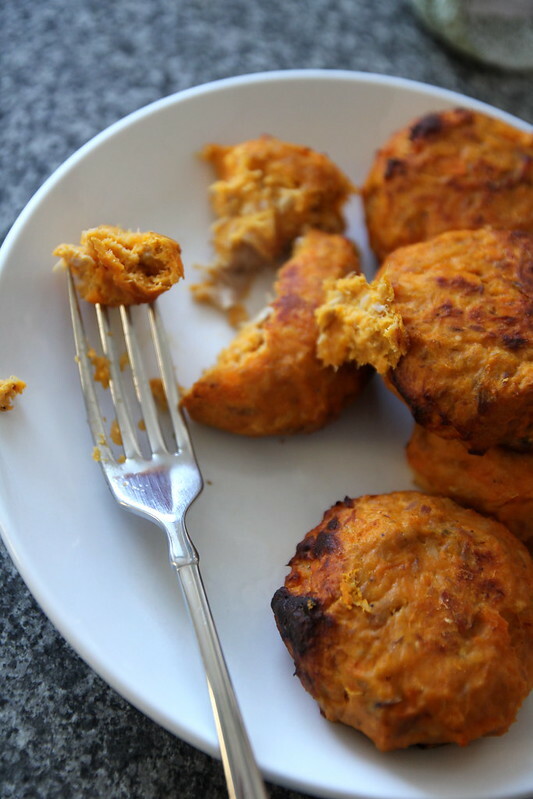 I love sweet potato patties and find them a good stress relieving dinner, so hopefully these helped a bit! Sorry that events have been upsetting you recently, but I’m sure you’ll overcome all these obstacles. Best wishes, BTW. And thanks for this flavorful, simple recipe – it looks wonderful! Definitely something I should try – thanks so much. 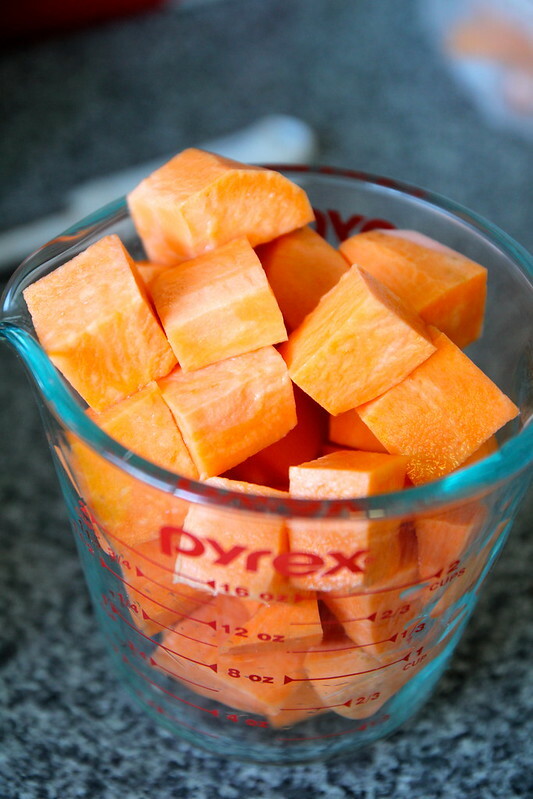 I love sweet potato… but never thought of your recipe… Hmmmm.. will try it out… I am sure is going to be delicious. I’ve never thought to do this but this looks and sounds incredible!! I always need more lunch recipes. This one looks great! So easy yet delicious, love to try this out. I love a three ingredient recipe! These look great. 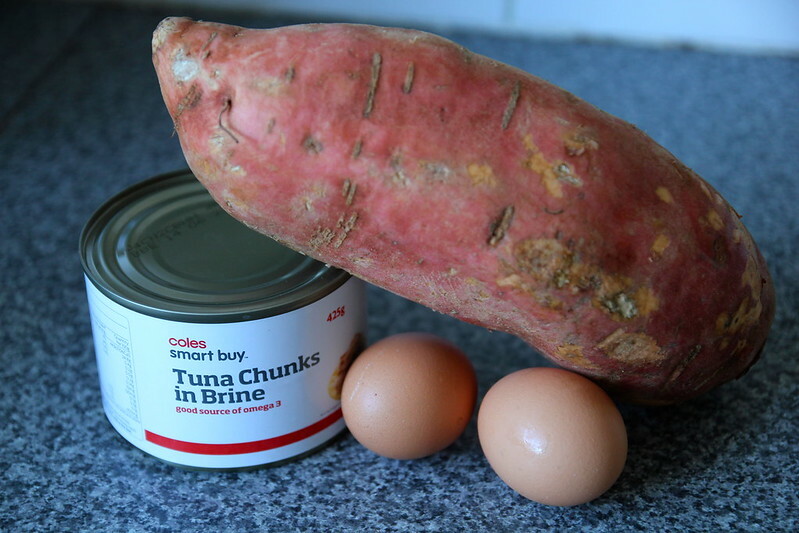 Methinks I have tuna, eggs and sweet potato in the fridge… hmm… might have to make it for dinner! I’m into all kinds of potatoes and sweet potatoes but never had mixed with tuna before, and I love patties like this to put in bento box. I MUST try this very soon!